The side first drawn out of the hat has won 47 of the last 61 Champions League Finals, which the superstitious among us might suggest is a good omen for Juventus. Can the Italians continue that trend? Or will Real Madrid win the 12th Champions League trophy in their 115-year history? Here are three battles that could decide the clash in Cardiff. 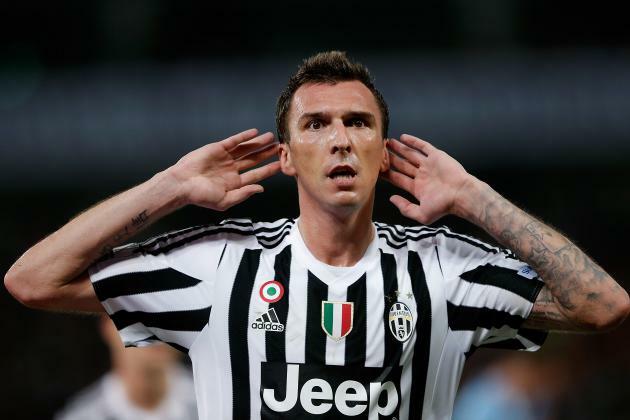 The industrious Mandzukic has been one of Juventus’ most underrated performers this season, helping his side in more than one phase of play. He always puts in a shift and has reasonable technique, yet it is his aerial ability that has been most valuable. The 31-year-old has won 3.5 aerial duels per game in the Champions League - more than any other left-sided forward. He is taller than Real right-back Danilo, who has lost 19 of his 49 aerial duels so when Juventus are in possession, the Croat should target him. Miralem Pjanic and Leanardo Bonucci excel at picking passes from deep and may look to isolate Danilo against Mandzukic in the air. If that becomes a problem for Real Madrid, who will wear their famous all-white kit, they may have to change their structure to keep Mandzukic quiet. That might involve moving Casemiro, their only powerful midfielder, to the right, meaning he cannot impose his physicality in central areas. Alternatively, one of the more creative players such as Luka Modric might drop back, limiting their influence in a more attacking sense. Even more dangerously, centre-back Sergio Ramos might instead be tempted to move across to win the aerial duel with Mandzukic. Though the captain is normally strong in the air, the consequences of him losing that duel might mean more space in dangerous areas. Creative forward Paulo Dybala has shown he can take advantage of that this season and Gonzalo Higuain threatens continue his prolific form against his old employers. The two full-backs both made their Brazil debut in 2006 and have since collected 147 caps between them. 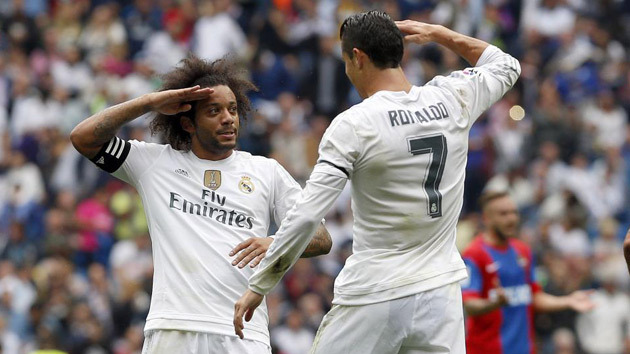 Alves and Marcelo will be familiar foes as well as friends, however, their respective Barcelona and Real Madrid careers overlapping for nearly a decade, before the former left for Juventus. That move has since proved one of the best free transfers of all time, especially after Alves scored a sensational semi-final strike against Monaco. His compatriot though has scored 34 career goals as a full-back and boasts outstanding technical ability. There will be space for Marcelo to showcase it. Cristiano Ronaldo is likely to drift inside from the left into goalscoring areas and as he does so, the Portuguese forward will attract markers. When the ball is cleared, it will be Marcelo’s job to pick up the second balls and exploit the space ceded by retreating opposition midfielders. Similarly, Alves will be responsible for providing Juventus’ width on the right. When Bianconeri win possession, they will switch from a 3-4-3 to a 4-2-3-1, with Andrea Barzagli shifting to a defensive right-back role and Alves further up on the right wing. He took a little time to settle in and get over his injury problems at the start of the campaign, but has since grown to become a key cog in this Juve machine with great flexibility and a strong work ethic. At 34, he may not be able to sustain his pace for 90 minutes and that is where Juan Cuadrado could come in useful. The Columbian, who has just signed on a permanent deal from Chelsea, could give Allegri’s side some much needed speed and width in the latter stages when Alves’ work is done. It needs little explanation that Cristiano Ronaldo, a regular Ballon d'Or winner has scored more goals (404) for Real Madrid than he has played games (393) requires special attention. Sami Khedira, for five years his team-mate at the Bernabeu, could be best-placed to try and negate his influence. The German is likely to be fit for the final after recovering from his leg injury and should be asked to mark Ronaldo when the team loses possession. His defensive qualities including height make him suited a difficult task and Allegri will not want to ask a centre-back to mark Ronaldo, which would risk opening gaps in dangerous areas. Even with the best plan for the Portuguese forward, it is likely than at key moments, big saves will be needed from 39-year-old goalkeeper Gianluigi Buffon - safe hands, required, Gigi!